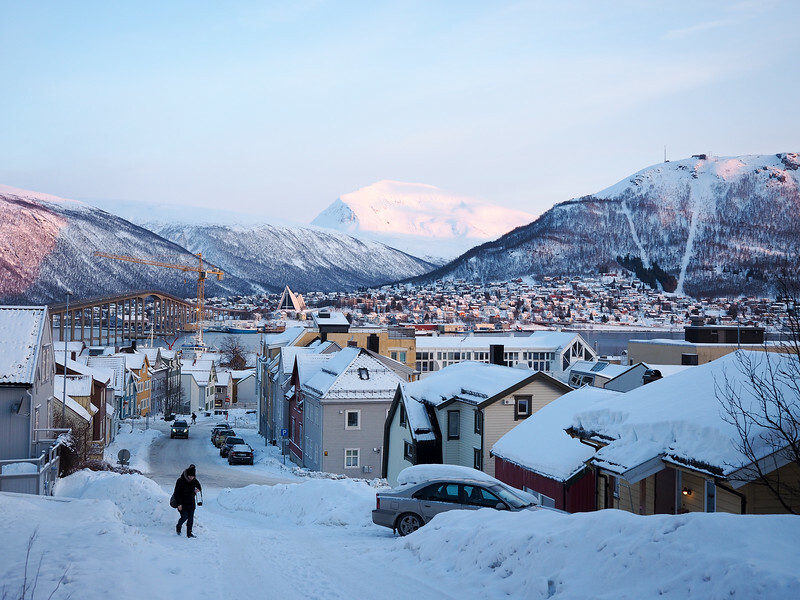 Tromso vs. Alta: Which Northern Norway Town Should You Visit in Winter? You may say that you don't like the cold. You may say that you can't imagine visiting a part of the world that literally doesn't see the sun for months at a time. 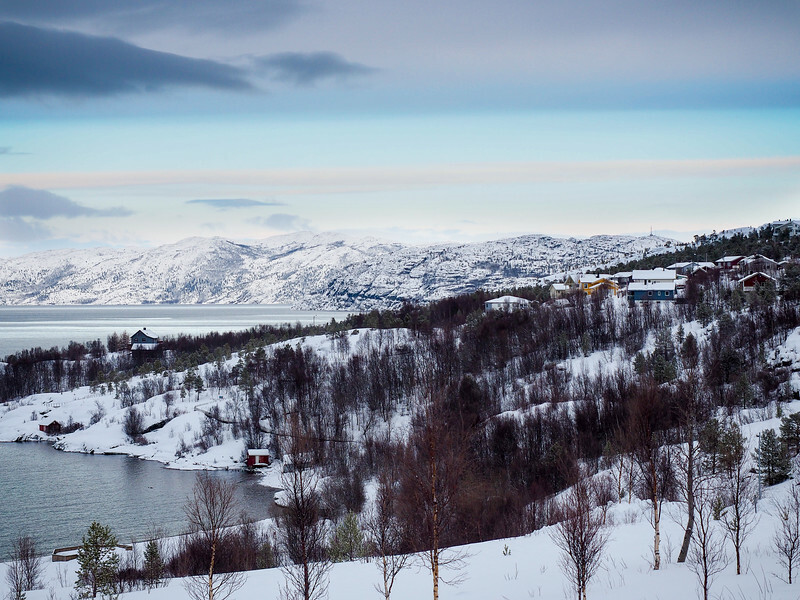 But before you say you wouldn't visit Northern Norway in the winter months, read this post. Because Norway's Arctic North is actually a GREAT place to visit when the temperatures fall. Last winter, I spent a week in Northern Norway, split between Tromsø (the “Gateway to the Arctic”) and Alta (the “Town of the Northern Lights”). I spent a lot of my time outdoors – and often at night – and can say with certainty that it was one of the best winter trips I've taken. You definitely should go to Northern Norway in winter. But I realize that most people aren't looking to experience everything twice in two different places – they want one destination where they can find it all. Which begs the question: Tromsø or Alta? 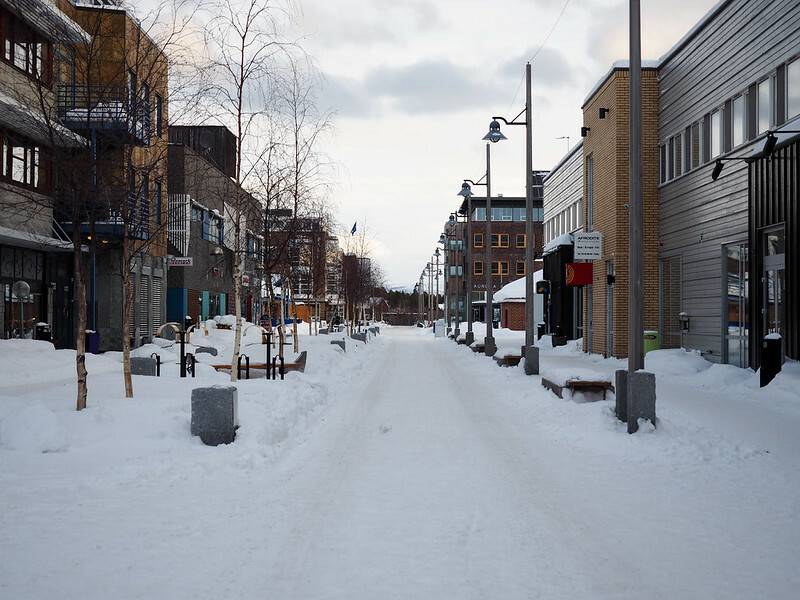 The two Arctic towns are similar in some ways, but very different in others. Hopefully this comparison will help you decide which Northern Norway town is right for you for your next winter getaway. My first stop in Northern Norway was in the tiny town of Alta, located in Norway's Finnmark county more than 375 kilometers north of the Arctic Circle. The fjord town has a population of just under 15,000, and yet is actually known for quite a few things. 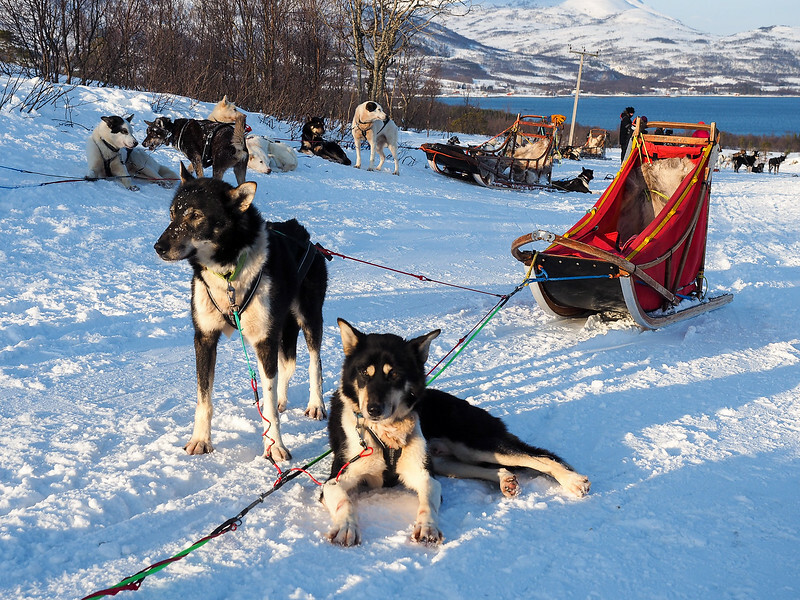 For example, Alta is the starting point for the annual Finnmarksløpet, the longest sled dog race in Europe. It is also known for its slate production, and some ancient rock carvings that are recognized by UNESCO. And, of course, Alta is know for its Northern Lights. 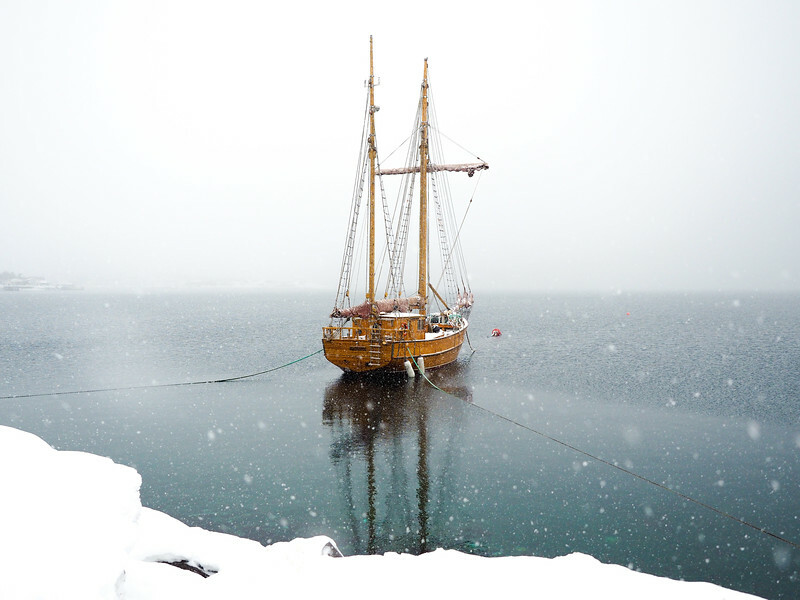 Due to its location on the inner part of the Altafjorden and the fact that Norway's coast gets a taste of the Gulf Stream, Alta doesn't actually get bitterly cold during the winter months. Add to this a fairly low level of annual precipitation, and you get some great aurora conditions. This is probably why the world's first observatory dedicated to studying the Northern Lights was built in Alta in 1899 (and also where Alta got its nickname as the “Town of the Northern Lights”). 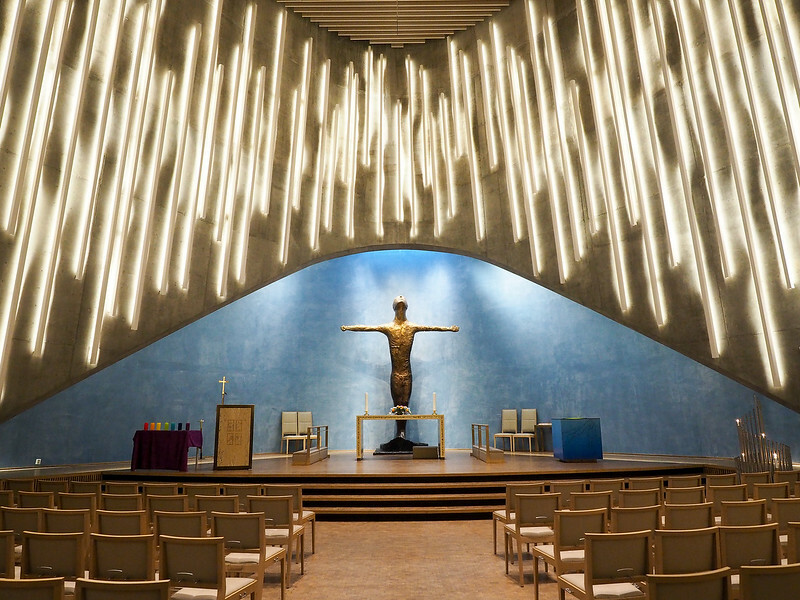 The Northern Lights Cathedral – You can't possibly miss this huge modern church in the center of town (it's the top image in this post). Finished in 2013, the cathedral is supposed to represent the falling sheets of the Northern Lights. It's cool to look at outside, and the inside is also worth taking a peek at. Alta Museum – Want to learn more about that World Heritage rock art that I mentioned? Then a visit to Alta Museum is a must. You probably won't be able to see the actual art during the winter months (it will be under a couple feet of snow), but you can still see all the exhibits inside. Snowmobile safari – I personally don't love snowmobiles (they kind of terrify me), but if you enjoy them, you'll definitely want to book a snowmobiling trip into the wilds of Finnmark. Snowshoeing / ice fishing – My friend Marie and I did a snowshoeing and ice fishing trip with GLØD Explorer. I like snowshoeing but wasn't all too excited about ice fishing. But guess what? It ended up being really cool! We snowshoed to a quiet lake surrounded by snowy mountains, drilled holes, and sat down on reindeer hides with teeny tiny fishing rods to try and catch lunch. We caught nothing, of course, but still had a delicious fire-roasted lunch of fish and veggies. This is a great half-day outing, even suitable for kids. Having a lot more fun ice fishing than I expected to! 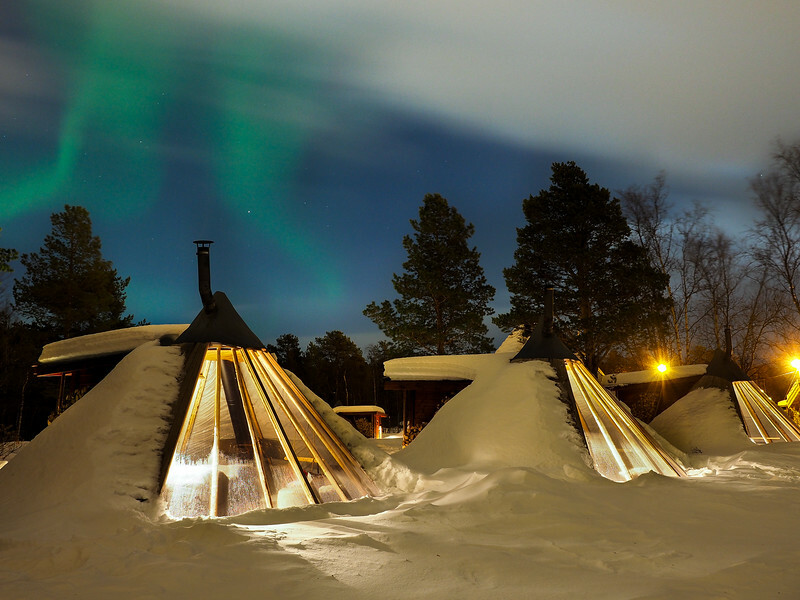 Stay overnight at the Holmen Husky Lodge – One of my favorite things we did in Alta was stay overnight at the Holmen Husky Lodge in cozy modernized lavvu (traditional Sami tents). This included a nighttime dogsled ride through the forest, a delicious dinner, and the the lavvu glamping. We even saw the Northern Lights! Read about the entire experience here. 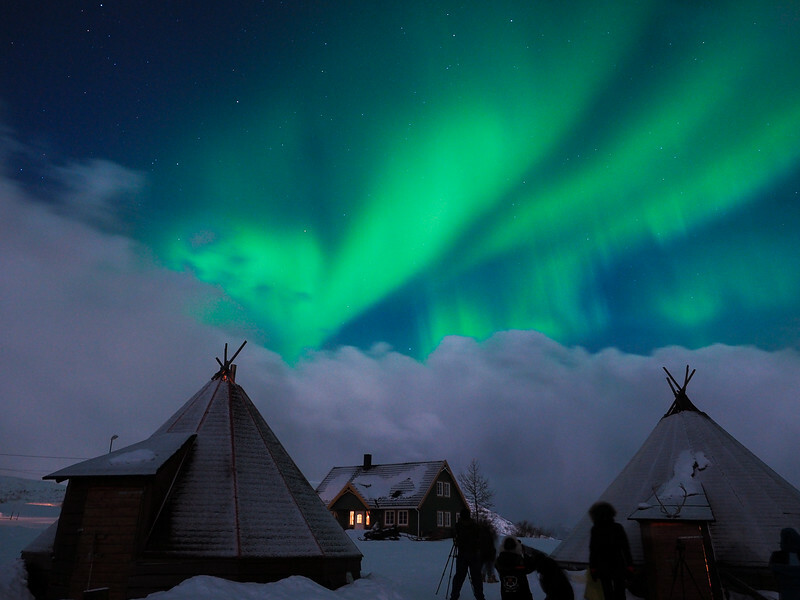 Northern Lights chasing – And, of course, you wouldn't visit the Town of the Northern Lights without trying to see the elusive aurora! I went chasing with Paeskatun, and even though the “show” we saw was quite weak (darn you, fickle scientific phenomena! ), it was still a fun and exciting night up in the mountains above Alta. Alta is for you if you want a more intimate experience in Northern Norway. You'll find less tourists overall and smaller tour groups (the exception being on days when a cruise ship is in port in Alta), and some incredibly passionate and friendly tour guides. The mild winter weather is also a huge plus – if you were to go do the same things in neighboring Finnish Lapland, it would be a LOT colder (thanks Gulf Stream!). It looks cold, but actually wasn't too bad! Being a smaller settlement does, of course, have its drawbacks. There are fewer options when it comes to tours in Alta, and it can be tricky to book certain things if you hit a day when a cruise ship is in town (though this is not a frequent occurrence in Alta). And there's less choice when it comes to hotels and restaurants, too. In fact, we ate at our hotel's pizza restaurant two days in a row because hardly anything else was open on a Sunday night! Tromsø, found south of Alta along Norway's fjord-filled coast, is the largest town in Northern Norway with a population of just over 70,000. I know it's difficult to think of 70,000 people as “big,” but after visiting Alta it sure does seem that way! Tromsø is one of the more popular Norwegian cities for people to visit in the winter, mostly because it's fairly easy to reach via budget flights from tons of large European cities. And Tromsø IS a very cool (and very visually pretty) town. 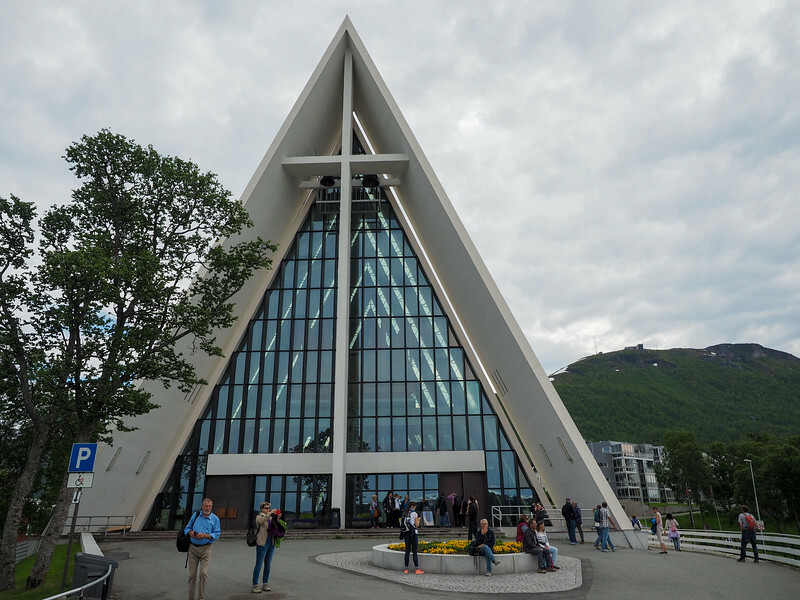 Arctic Cathedral – The white church (officially Tromsdalen Church) across the sound from the main part of Tromsø is easily the city's most famous landmark. You'll find it on postcards and in guidebooks, and it's worth crossing the big sloping bridge to go and see it up close. The Polar Museum – If the sight of lots of taxidermied animals makes you feel uncomfortable, the the Polar Museum might not be for you. But if you're okay with this, then the museum is a fascinating look into Arctic trapping and hunting and early polar explorers. 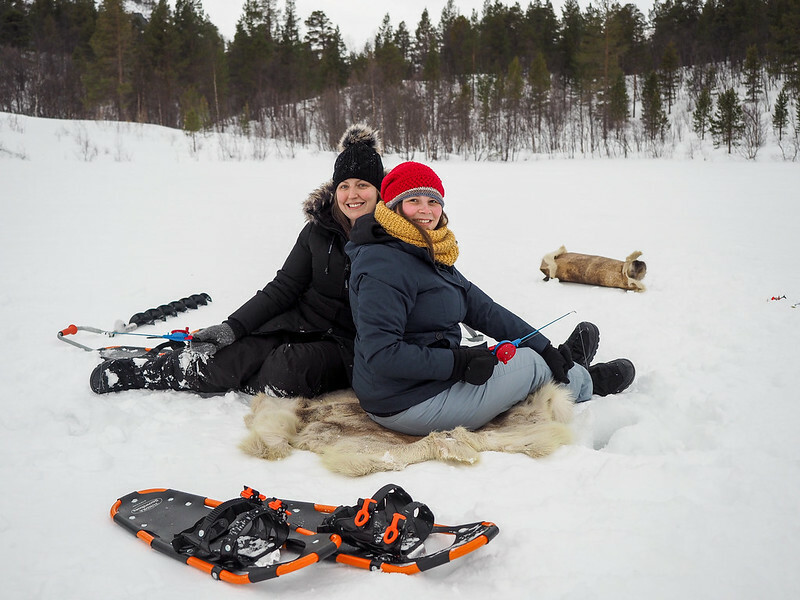 Dogsledding – I know dogsledding doesn't appeal to everyone, but if you want to see a real dogsledding operation and see how much these specially-bred dogs really do LOVE to RUN, book a trip with Tromsø Villmarkssenter. You can even see what it's like to be a musher and “drive” your own sled (beware, though – it's a LOT harder than it looks!). >> Book a dogsledding tour here. >> Book your cross-country skiing class here. 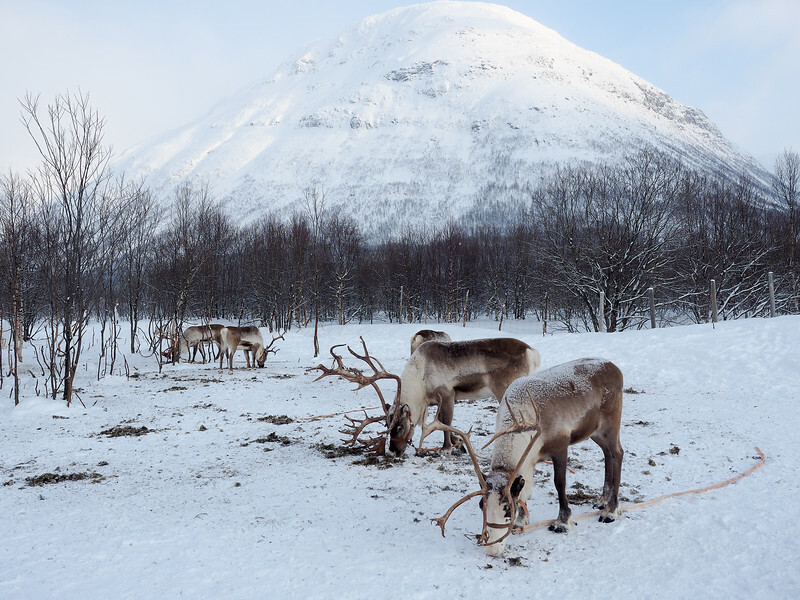 Go reindeer sledding – Northern Norway is home to the indigenous Sami people, who are known for herding reindeer. If you want to learn more about this culture AND get up close with some fuzzy-antlered deer, you can go reindeer sledding in the beautiful Lyngen Alps with Lynsfjord Adventure. 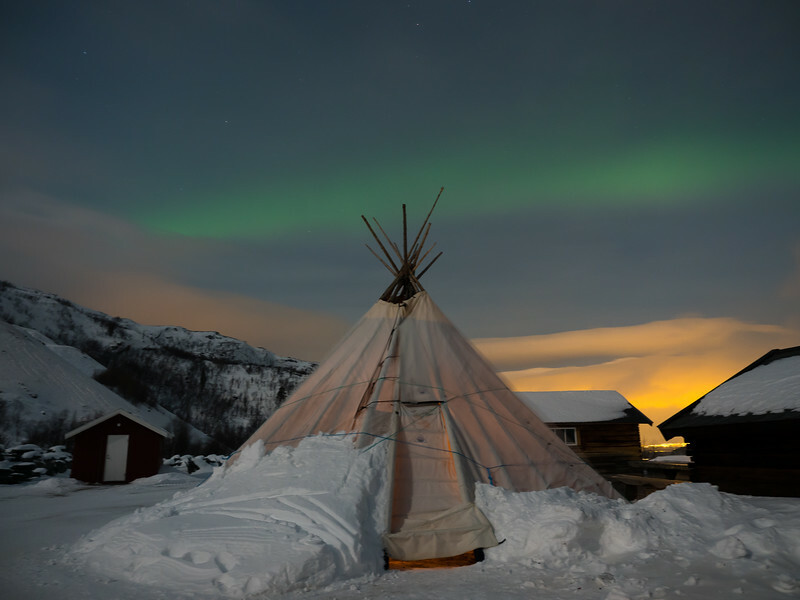 Chase the Northern Lights – And, of course, Tromsø has PLENTY of options for those who want to chase the Northern Lights. One guide told me there are literally dozens of companies in the city that offer aurora-chasing tours. There's of course never a guarantee that you'll see the Northern Lights, but in order to have the best chance I recommend booking with a company that offers small group sizes and a true “chasing” experience (i.e. you won't just go to one place and sit). My top picks are Tromsø Friluftsenter and Guide Gunnar. >> Book a small-group Northern Lights tour here. The upside of visiting Tromsø is that you have a lot more choices when it comes to… well, everything in comparison with Alta. 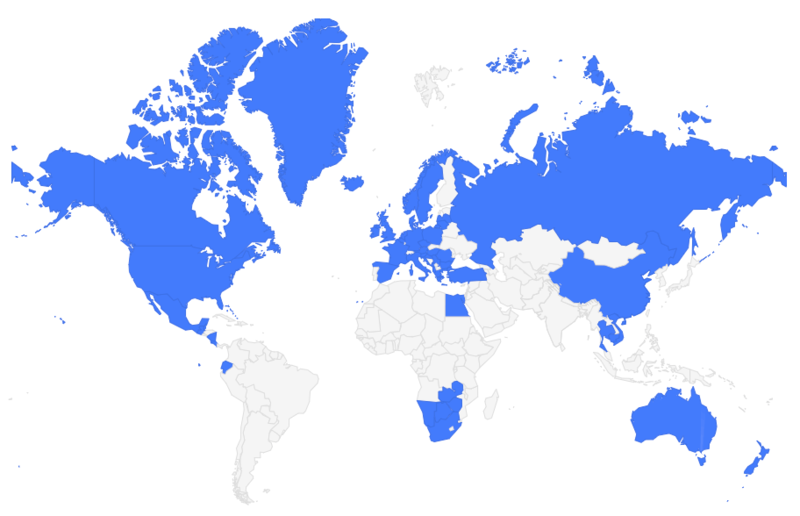 More hotels, more restaurants, more tour companies, more shopping. 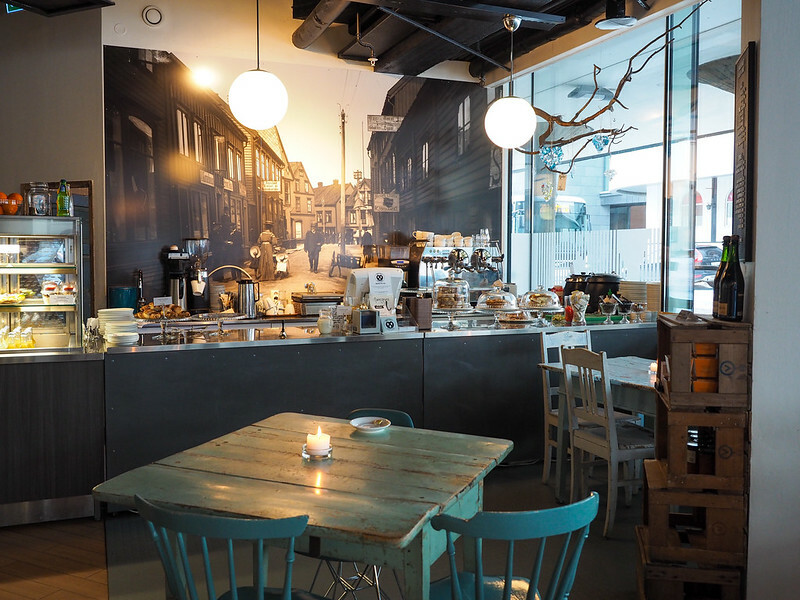 There are even lots of cute coffee shops to enjoy. And Tromsø is easier to get to, too, since many airlines fly there from various European cities. The downside to Tromsø being quite a bit more popular is that it's also more crowded and more touristy. More cruise ships call into port here, and you'll find bigger tour groups and more tour buses. We're not talking like Venice-levels of tourists, of course, but you definitely notice the difference if you compare it to Alta. As you can see, these northern towns both have a lot in common. You can do all the same things (from dogsledding to snowshoeing to Northern Lights chasing), and stay in similar hotels. Both even have a notable cathedral worth seeing. The biggest differences come down to size and the variety of choice. 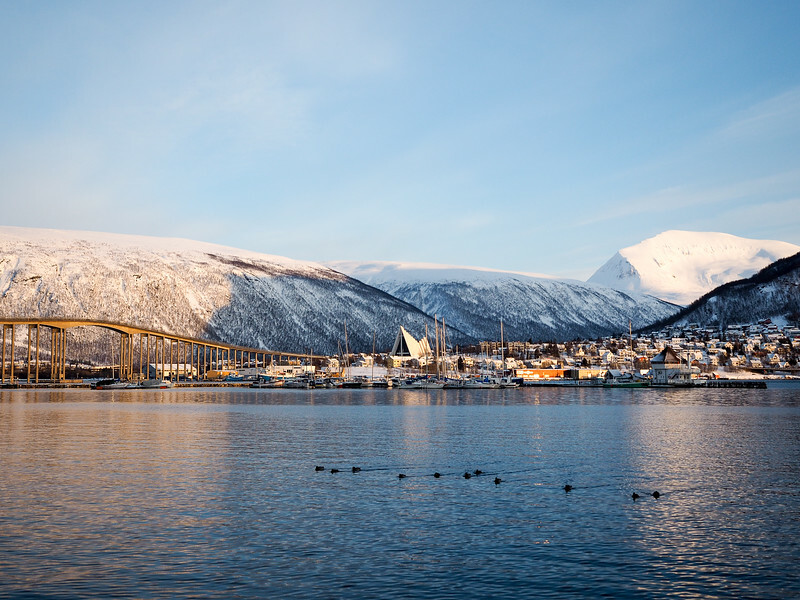 If you prefer more choice and a slightly bigger town to explore, then Tromsø is for you. If, on the other hand, you want a more intimate experience and don't mind a lack of choice when it comes to what you eat, then you probably want to go to Alta. Or you could do what I did and just visit both! Ready to book your trip to Northern Norway? I hope so! So one more tip for you. Both Alta and Tromsø experience the “polar night” during the winter, when the sun basically never rises above the horizon. This period is generally from late November to mid-January. You probably want at least a handful of hours of daylight, though. So I recommend going to Northern Norway in February or March. By mid- or late February, you'll have 7-9 hours of light each day (and the days will get progressively longer quite quickly), but still plenty of wintry weather and landscapes to enjoy. So which would you choose? Alta or Tromsø? *Note: I was a guest of Innovation Norway, Northern Norway, and North Adventures on this trip, and also have to thank all the local tour operators we worked with. As always, though, all opinions are 100% my own. Good article! Tromsø is clearly my favorite. It’s quite amazing how the Gulf of Finland which is south of Helsinki freezes to some extent each year (some winters even completely), but the northern coast of Norway which is 1000 kilometers north of Helsinki remains almost ice-free for the whole winter! I know! The weather in Northern Norway definitely surprised me. But I’m not complaining – it was great to be able to see the Northern Lights in relatively “mild” temperatures! 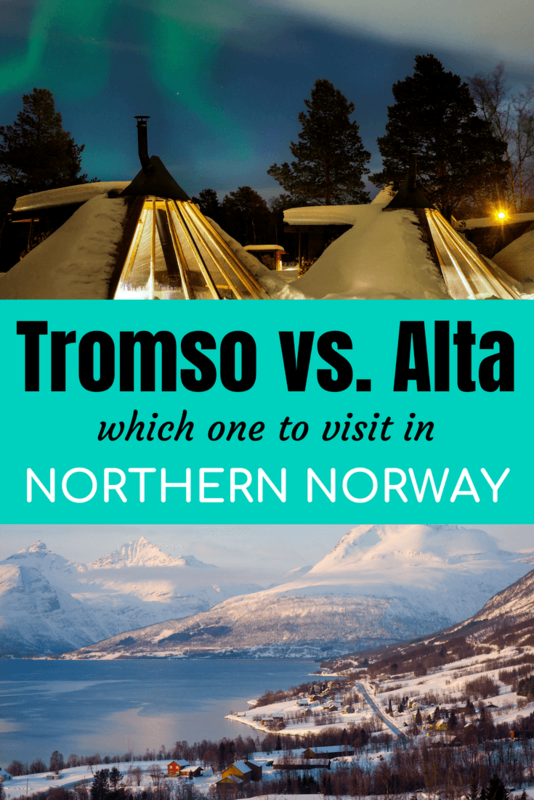 I personally can’t decide whether I liked Alta or Tromso better – they both have their charms! I thought cold destinations were not really my thing, until I visited Iceland a few weeks ago. What a life-changing experience, now the winter doesn’t only have a negative connotation in my mind. I’ll definitely go to both destinations! Choosing would be such a pity! I grew up with very cold winters, so the cold doesn’t really dissuade me when it comes to travel. I can totally understand how Iceland could change your mind about cold destinations, though – it’s amazing! Wow, absolutely beautiful! I love all of your photos. 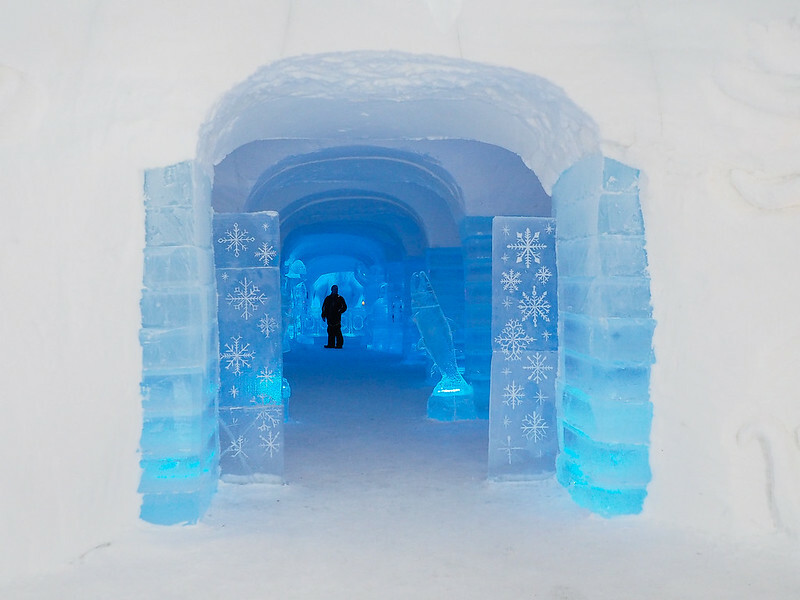 I’m usually not a huge fan of the cold, but this looks well worth it! Definitely worth it! I would go back in a heartbeat. Great article! Thanks for the tips. I’m headed to Tromso in January to chase the lights! Awesome! It will still be pretty dark then, but that makes for some good Lights-chasing conditions! I hope you see them! 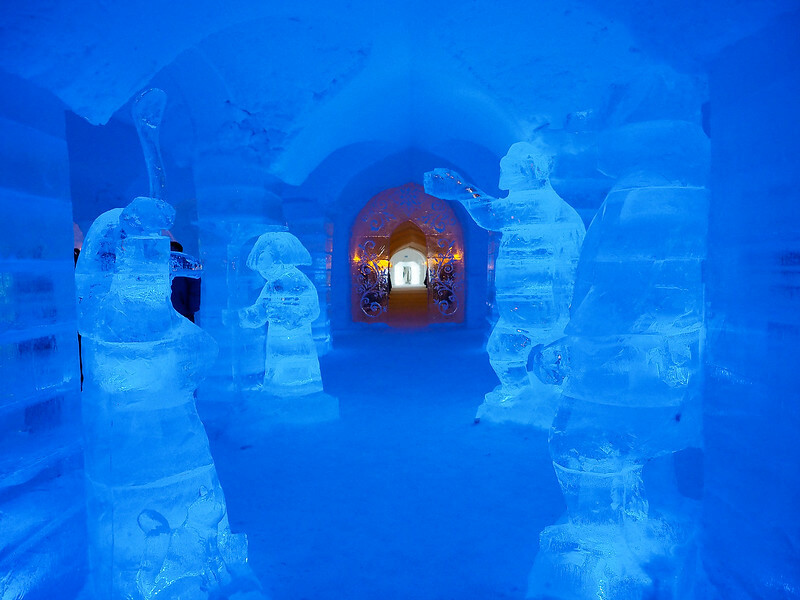 Ah, the ice hotels look so awesome, and both places are so naturally beautiful. Would probably find myself leaning toward Alta because you said it’s a bit less off a tourist destination. Hope I can do both someday soon! Thanks for the breakdown Amanda! I could definitely see you enjoying Alta, Ryan. It’s definitely more off the beaten path, especially in the winter! 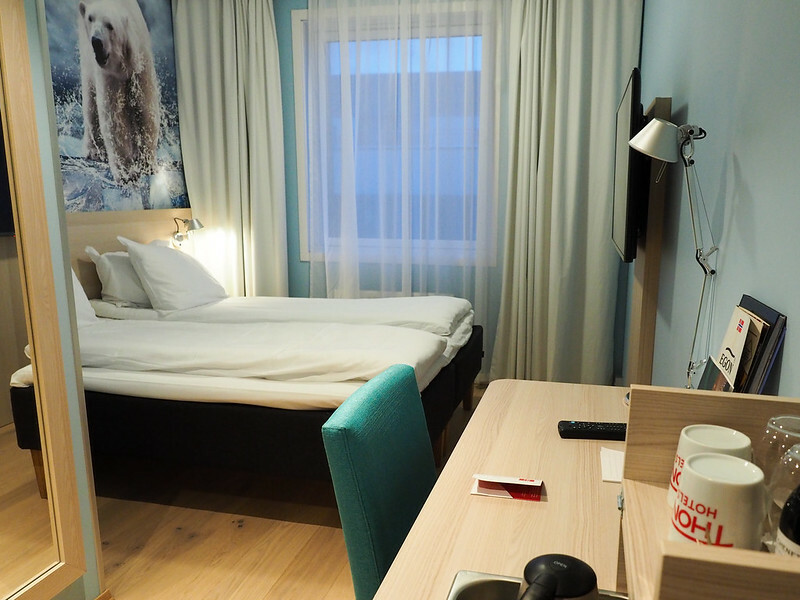 I think Tromso might be more ideal if you wanted to spend a whole week in one place (because, let’s be honest, eating almost every meal in that pizza place in Alta would have gotten old! ), but I liked spending a few days in Alta. The ice hotel and Holmen Husky Lodge were such highlights! Oslo is awesome – but Norway has SO many cool cities! What a timely post! I leave for Norway this Friday. I’m hoping the Northern Lights make an appearance while I’m there. Fingers crossed! But my trip will be spectacular with or without the heavenly light show. Fingers crossed indeed – I hope you have a great time! I definitely think visiting both makes a lot of sense if you have the time. I’d probably lean more towards Tromsø since the town is a bit larger, accessible, and offers more dining options. Either way, Norway remains firmly planted on my short list of places to visit! I think I would tend to agree with you, unless Alta just absolutely calls to you. 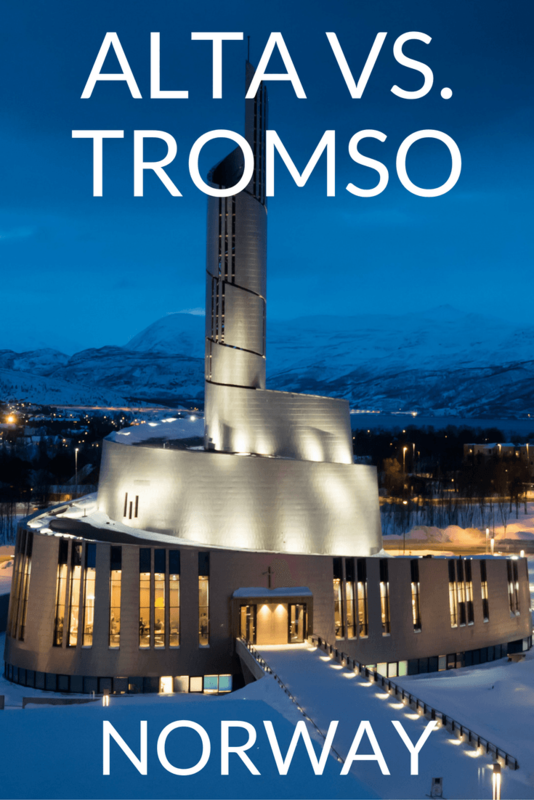 I loved them both, but Tromso would make the most sense for most people who only have time to visit one. Norway is a dream trip of mine for sure! I’m already dreaming of another trip there! Hi great info! How did you get between the two.. fly? 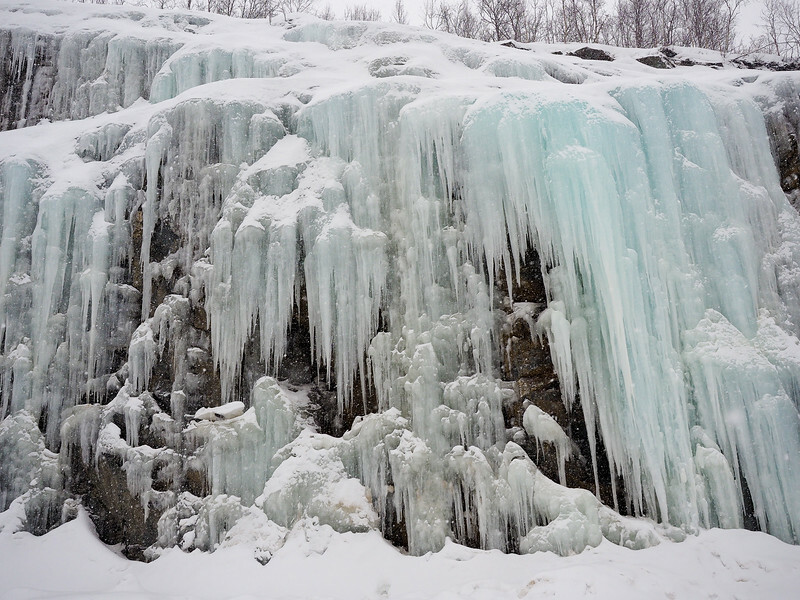 Do you know much about Kirkenes too? Also are there places to rent warmer clothing? Yes, I flew between the two, as driving actually takes a long time because of all the fjords. I have never been to Kirkenes. As for warm clothing, many activity/tour companies will provide a warm suit and sometimes boots for you to wear, but you’ll need your own warm clothing for the rest of the time. 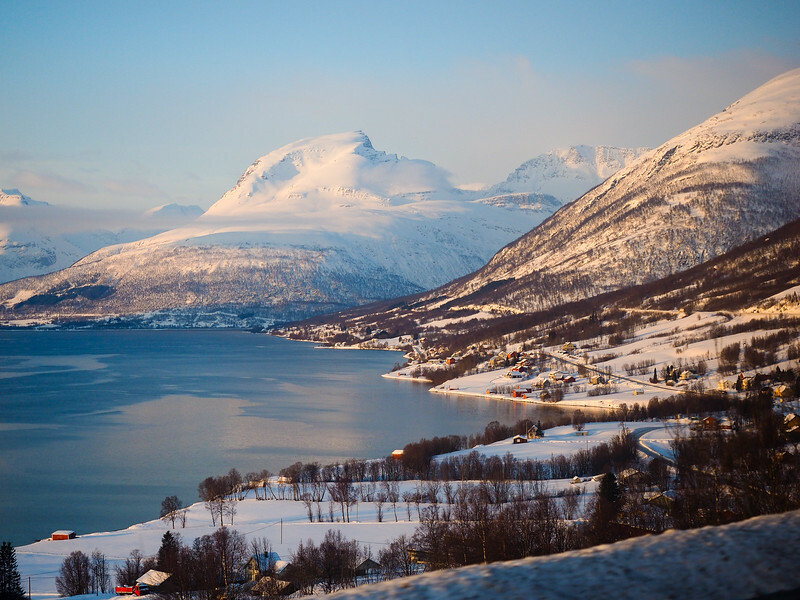 How did you travel between Alta and Tromso?? If you have 8 days, that would definitely be enough time to visit both! I flew between the two – they don’t look that far away on a map, but driving actually takes nearly a full day because you have to go around all the fjords. I’d definitely recommend flying. My self n my wife went to Tromso in mid February 2017 and enjoy the city n surrounding, spend 5 days , from waiting the Lady Aurora appear in the Base Camp to Aurora chasing by bus. Then in mid of November , again we went to Alta , Honningsvag n Nordkapp for 8 days. also watching the Lady Aurora from Holmen Husky Lavvu tent and from the car with GLOD team n tried ATV tour in the evening with Nord 71 degree team. If you have time, my suggestion, visit both at one visit. Both city has its own interesting point of view.